Grilled kielbasa, smothered in a ridiculously good sausage and stout beer cheese sauce, and packaged in a pillowy bun. This super easy Grilled Beer Kielbasa with Sausage and Stout Queso recipe, perfect for feeding the crowd, is every bit as crazy tasty as it looks. This post is sponsored. Drink Responsibly. So here is my nod to Oktoberfest! To grilling and enjoying several beers and to hanging out and enjoying with friends. Summer is finally over and football has finally started. Put down the back of the truck, break out the hibachi, pull up a cooler, and just have at it until gametime. Or anytime. Weekend-time. Whatever. …And Oktoberfest, that infectious German tradition, whether you go full-out with liederhosen and snitzel or if you just get together at your local watering hole. It is that time. To me, the funny thing is this …while my facebook feed is filled with friends breaking out the sweaters and raking the leaves, in Florida our fall is a bit different. Different, as in we don’t have one. The temperature drops from the 90s to the 80s. That is our fall. So while folks up north experience October with the beautiful fall colors of the trees and new chill in the air …we do not. Our October is kinda the same as summer …just less of it. Still grilling by our pool enjoying the warm sun and easy ocean breezes wisping the palm trees. Okay, let’s talk about this recipe …kids, this stuff is seriously a crowd-pleaser. Make this. I have made this several times now, and it is very honestly totally totally yummayyy. 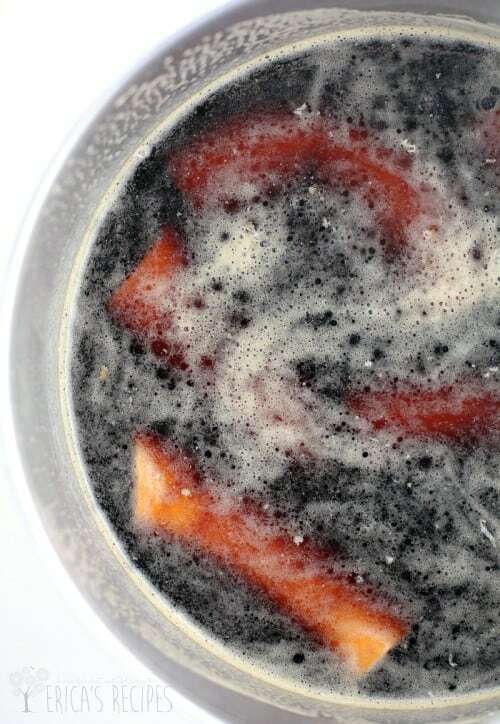 First, we give our Hillshire Farm® Polska Kielbasa a good simmer in a hearty stout. While that is happening, we throw a couple things in a crockpot, let that go, and what we get is the best queso I have made yet. Yes, this actually even beats out the Bestest Best Queso of Them All. (this is why I should stick to my own advice of never claiming a recipe is the best, because you never know what you will create down the road). 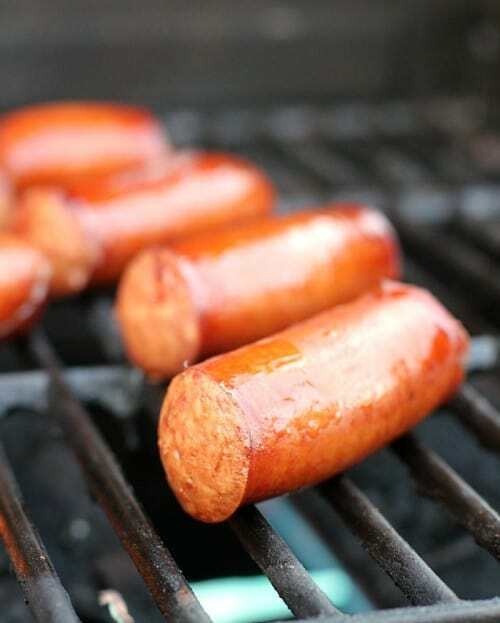 Then we fire up the grill to take the beered-up Hillshire Farm® Polska Kielbasa from yummy to perfect. Serve in a tasty bakery roll or bun topped with the hoppy queso of our dreams and a side of pumpkin beer and there can only be happiness. This recipe can be scaled up to feed as many as you like. Up to 8-10 people, I would not up the queso because it does not take much for each kielbasa. I also like to cut the sausage into more reasonable portions – like 4 or 5 portions per sausage. And use rolls from the grocery store bakery as the buns. I have used hot dog buns too and that works if that is what you have. Whichever. Of course, you could go full out – cut the sausage into just 2 or 3 portions and serve them up in sub rolls. However you like. 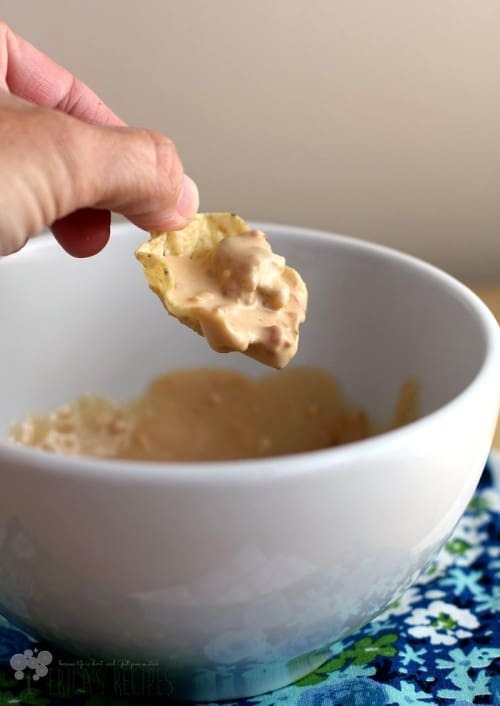 Just be sure to have tortilla chips on the side for anyone that just wants to bask in the glory of this queso. So so so so good. So this is it kids! Here is a super easy, fantastically good recipe for Oktoberfest, game day, or whenever you just need some crowd-pleasing pub grub. 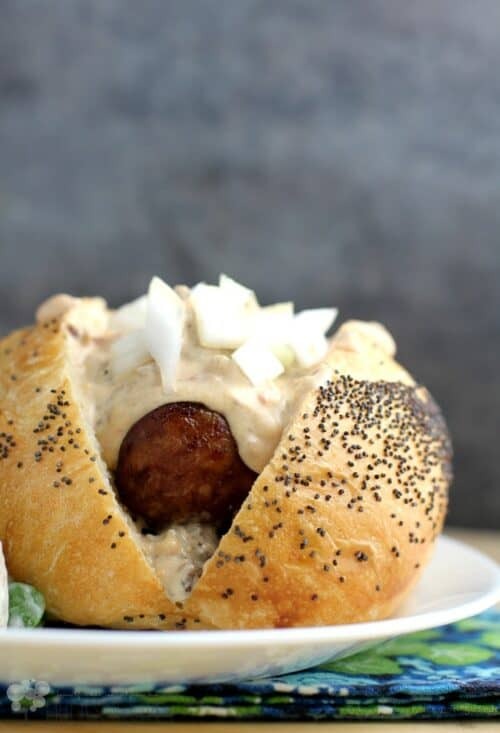 Grilled kielbasa, smothered in a ridiculously good sausage and stout beer cheese sauce, and packaged in a pillowy bun. Throw all the ingredients for the Sausage and Stout Queso into the slow cooker. Set to High and let go an hour, stirring occasionally, until blended and creamy. Meanwhile, put the Polska Kielbasa and a 12 oz stout in a saucepan to simmer. Simmer an hour while the queso cooks. Heat the grill to high heat. Once ready, grill the sausages until well-marked with grill lines, and sizzling juicy hot. 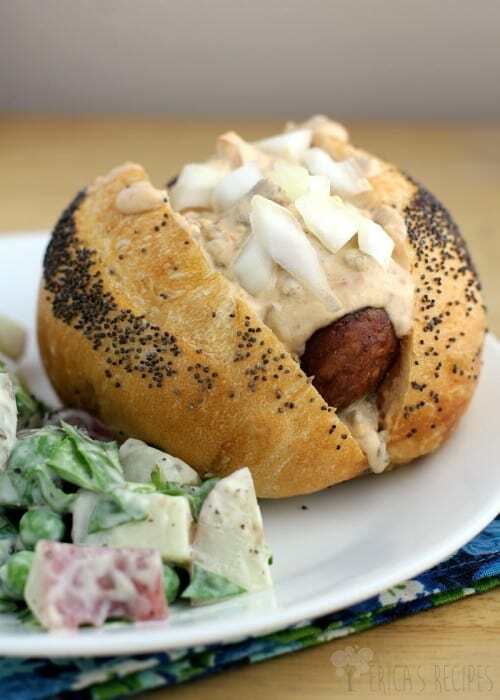 Serve the Polska Kielbasa in rolls or hot dog buns, cut to size, topped with Sausage and Stout Queso and diced onion. 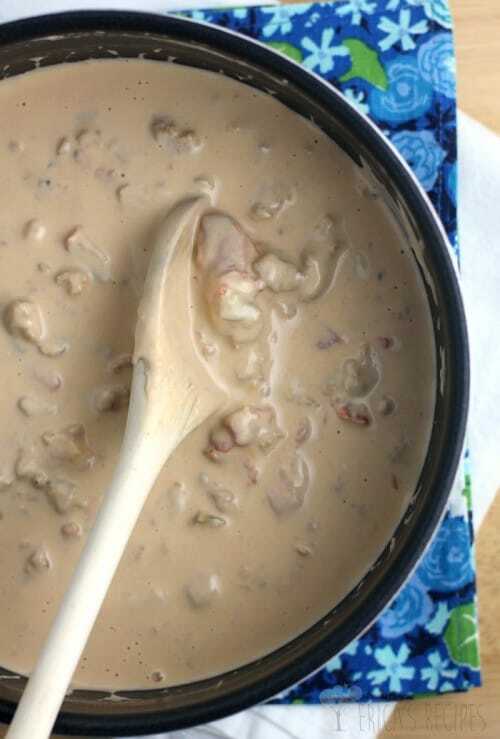 I have made this queso using pork sausage and chicken sausage. 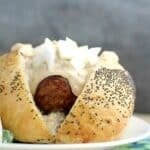 I prefer chicken sausage for this recipe, but they both work great. That recipe looks delicious! I think the cheese sauce really makes that dish. My poor gallbladder could never stand me eating that–but my taste buds are yelling make it make it!! It does seem like that would be a definite crowd pleaser!! This looks INSANELY good! I love it for tailgating; what a great idea! We just had a neighborhood Octoberfest party, and it was such a blast. We’ve still got plenty of weekend nights for gobbling up this kielbasa. Yum! Sausage stout queso sounds amazing. I would be happy to eat it with a spoon. Yummy sounds amazing! While I absolutely hate winter and snow and cold, I truly don’t mind the NY Fall weather…the colors are amazing. I would probably miss it if I didn’t have it. Great philosophy. Saying it is the “best” is always tricky. This looks awesome though! I hear you!! We do not get fall in FL! The closest we’ve come is that I can open my windows for about an hour in the mornings and evenings. Haha!! What a delicious nod to Oktoberfest! I’m drooling for a sausage with that queso sauce – these look awesome! You would think that after living in Germany for a couple of years we would be all over the traditions! Well, we do love the beer and love cooking with it too! This is going to be a weekend party dish that’s going to happen! Delicious and tasty! We love sausage and cheese. Mouth Watering! Stout Queso?? 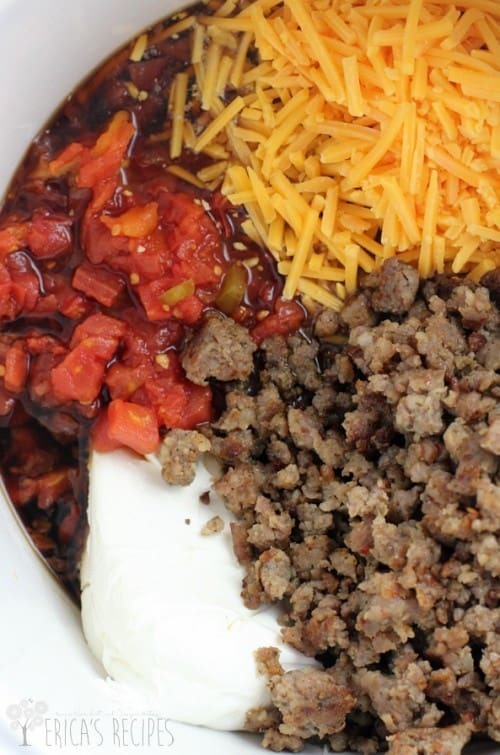 Sounds absolutely amazing and what a great topping for the kielbasa! Loving that queso – great idea. OH. THAT. QUESO. yes ma’am! Also, I’m jealous of your weather, while I love the beauty of all the pretty leaves we’ve got going on here in MA, I’m freakn cold! 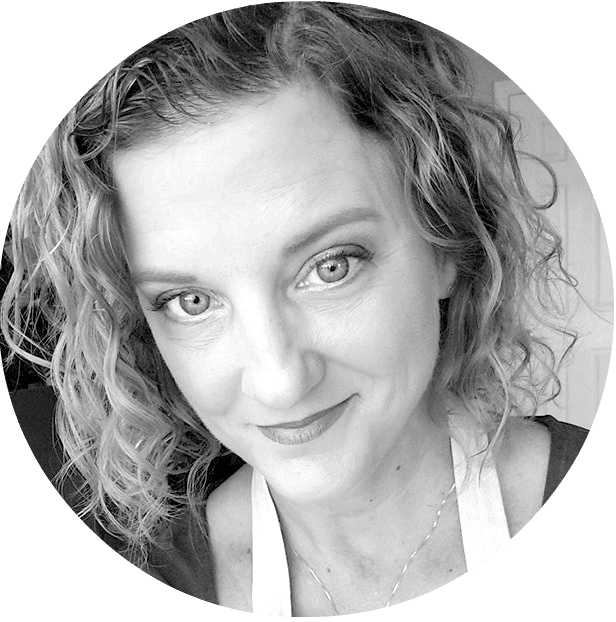 Wow…So over the top delicious, Erica! I love every element of this dish! That queso sounds soon good!! What a fun and tasty tailgating treat Erica! I am sending this to my daughter and son in-law who will go crazy over it!